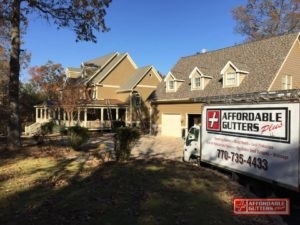 Whether you need a fast repair or a full rain gutter installation, Affordable Gutters Plus, LLC handles your every gutter service need in Alpharetta, GA. You get high quality rain gutter installation for your home with our total roofing and gutter services. Every rain gutter installation is done with our aim in mind, to give peace of mind with a system that will last as long as you own your house. With excellent craftsmanship and customer service, our licensed contractors provide you with first-rate service in town. We are always available to answer your rain gutter installation questions or aid you receive an evaluation. 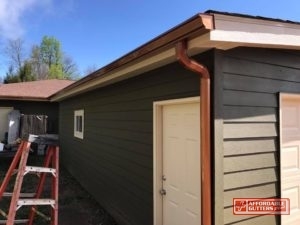 Contact Affordable Gutters Plus, LLC today at 770-735-4433 for your rain gutter installation in Alpharetta, GA.
All your needed home services are available in Alpharetta, GA from Affordable Gutters Plus, LLC. With home services, our contractors install more than just rain gutter systems. Leaf Guard Gutters: Stop obstructed gutters with leaf guard gutters for your house! Metal Roofing: Metal roofing is a great choice for houses looking for a enduring, energy efficient roof alternative. Roof Drainage Repair: Roofing drainage repair can make sure your system functions correctly. Seamless Rain Gutters: Water damage and leaks are no longer a worry when you pick a excellent seamless rain gutter installation from Affordable Gutters Plus, LLC. Squirrel Deterrent Flashing: Halt pests in their tracks with squirrel deterrent flashing for your house. Your home gets all of these services and more. Storms, hail and winds are averted from damaging your house by your roofing system. Installing a excellent gutter system can shield your roof from unforseen damage caused by water, improving its protection. 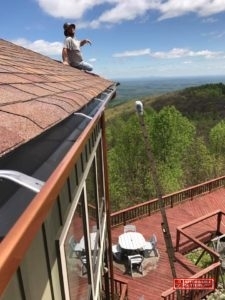 Give us a call today at 770-735-4433 to talk with one of our contractors about your home’s roofing or rain gutter installation in Alpharetta, GA.
With the huge investment it is to own a home, you anticipate that you will be able to live in for a lifetime. Whether you require a rain gutter installation or a full roof installation, Affordable Gutters Plus, LLC installs systems created to offers you top-notch and last you as long as you occupy the house. Our contractors are licensed experts who work with you to ensure you get exactly what your house requires. No matter what service you need, you always get the best workmanship and excellent customer service. Dial 770-735-4433 for Affordable Gutters and quality rain gutter installation today.